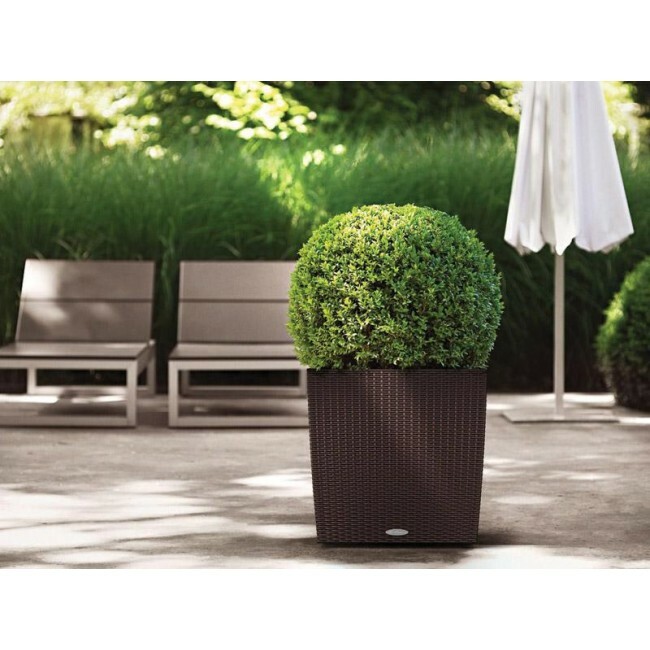 The Lechuza Square is a perfect way to add a touch of elegance and style to any outdoor commercial or residential landscape. 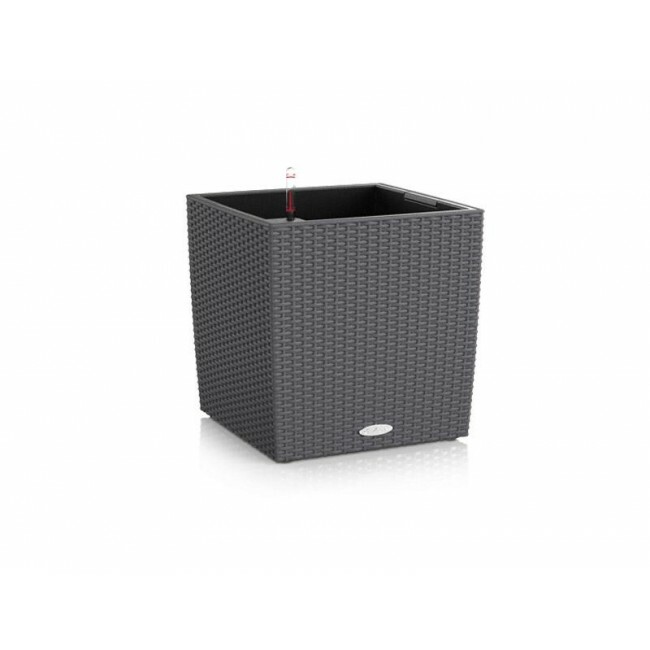 The Square features a popular wicker look in a perfect cube shape. 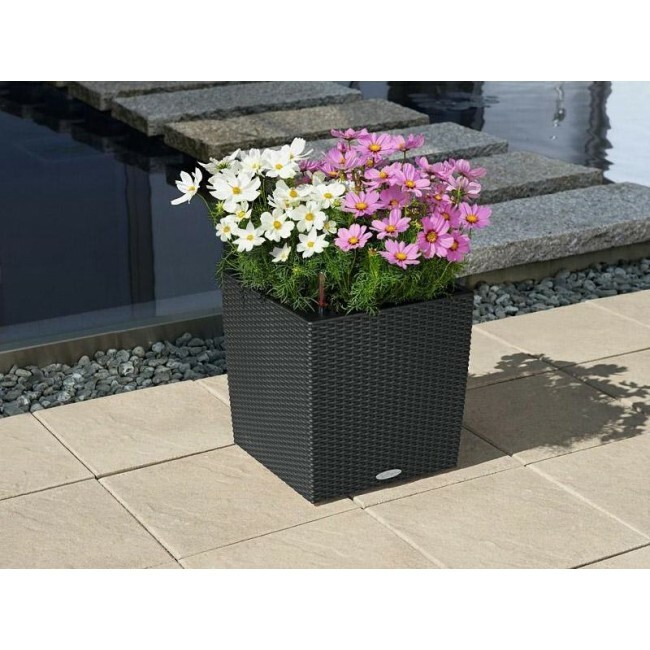 This contemporary outdoor planter offers high plant volume, allowing larger plants plenty of room to flourish. Manufactured using a commerical grade polypropylene material, this decorative plant container, not only looks like real wicker, but is also weather resistant. 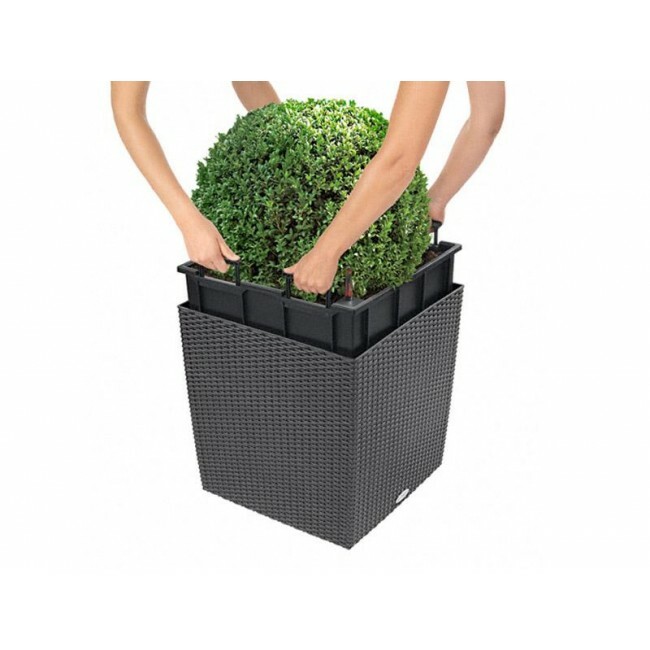 Use the Lechuza Square without fear of snow, sleet, ice, water, wind, or sun damage. 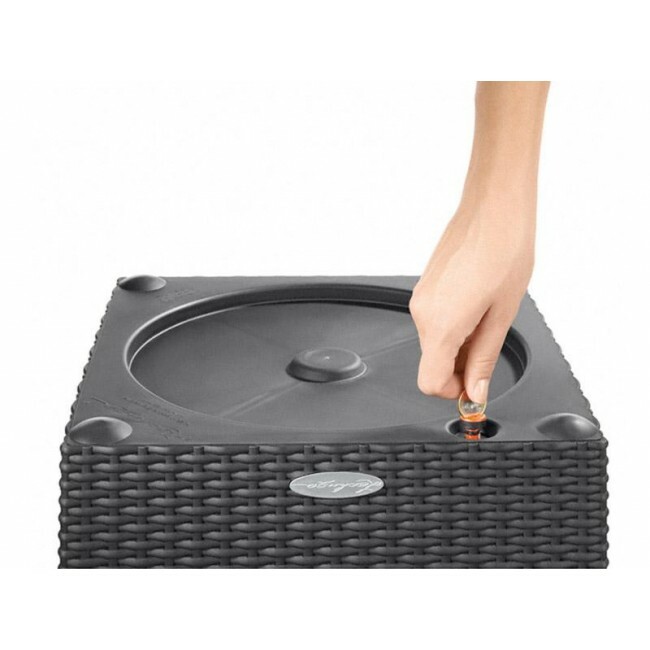 Equipped with a self-watering sub-irrigation system, this patio planter makes growing and maintaining your favorite plant or flower child's play. With the intelligent watering system, your plants can go up to 12 weeks without further watering. 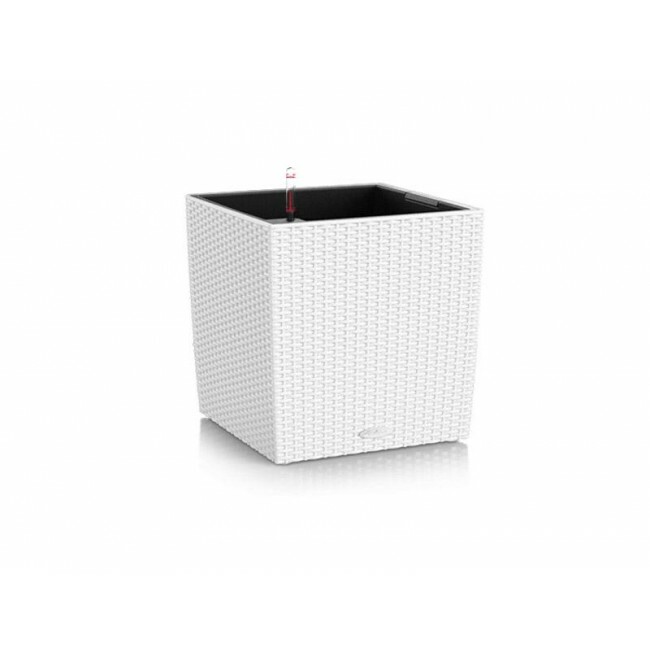 The water level indicator notifies you when the water reservoir needs to be refilled. Elegant beauty and smart features make the Lechuza Square a perfect choice for any lawn and landscaping design.